Spotify is one of the largest, affordable, and most accessible music streaming services offered to the public. To fully take advantage of the benefits of Spotify, any current or future artist should understand how Spotify works “behind-the-scenes” on the artist end of things. Spotify is a massive platform open to all kinds of artistic expressions, making the process of getting music on it an easy one. Most all content is welcome on Spotify unless it’s infringing, illegal, or hateful. Should you find yourself wondering if Spotify will allow your music, it would be beneficial to check out their list of prohibited content. Once you have the content you’re putting on Spotify, you will need a distributor. Usually if you are signed to a label, the label will add your music onto Spotify for you. 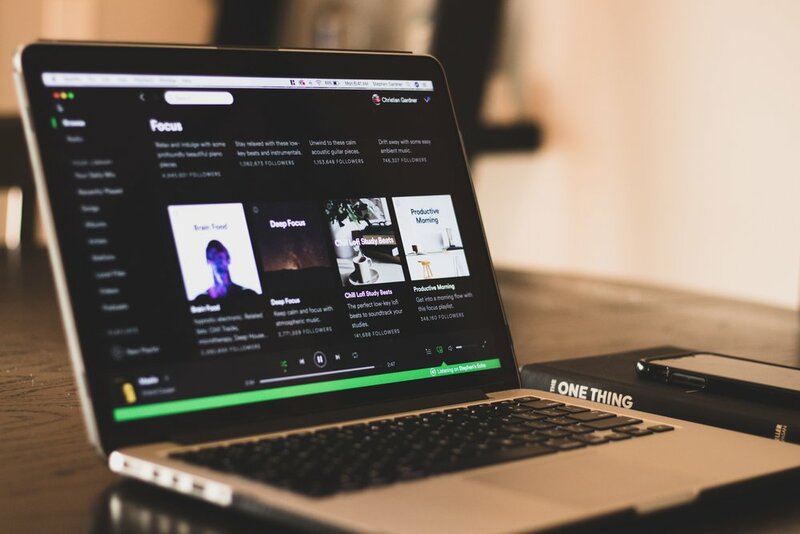 If the you don’t have a label or aggregator, Spotify has deals in place with a number of companies who can distribute your music to Spotify and receive your royalties in return. Spotify’s preferred and recommended distributor is DISTROKID. But they also recommend EmuBands, Record Union, AWAL, CD Baby, and TuneCore. Any of these services can handle the licensing and distribution of an artists’ music while paying them their royalties when fans stream their content. It’s important for artists to do research before choosing any one company, because they all require a small fee or percentage cut. Spotify offers creators the most control with their “Spotify for Artists” feature, allowing them to do things such as update their artist profile, see who’s listening, and sell merch! This feature also grants you instant verification, so your fans know you’re the real deal. Being able to see stats also helps artists see what music fans like the most, in addition to how they’ll run promotional campaigns and where to book tour dates. Spotify allows artists to interact first-hand with their audience with these unique features and artist control. Playlists are an amazing feature that Spotify offers, not just for music listeners, but as a promotional tool for artists as well. Since playlists are such a prominent feature of the platform, it’s easy for an artist to take advantage. Spotify creates personalized playlists based on algorithms collected from listeners, handcrafts editorial playlists, and lets listeners create their own fan playlists. With these features, Spotify has billions of playlists and billions of opportunities for growth. When fans follow you on Spotify they’ll see your new music in their “release radar” playlists, featured in their app, and in their personalized emails! In addition to new music updates, Spotify shares tour dates as well In addition, Spotify recently added a feature allowing artists to submit upcoming songs to their team’s playlist editors to be considered for a curated playlist. Artists are recommended to submit their song up to 7 days before its release to be considered for a curated playlist, since you can’t submit any music after it’s released. This guarantees the artist a better chance of making it on a more public playlist, with more exposure, listeners, followers, etc. Once you are on Spotify, the real work begins—getting your music heard. Lion Bold is here to help you with that. We’ve even made a free guide to help you get your music out to a bigger, broader audience, and it’s free for you do download right now! Success! The eBook has been sent to your email where you can download and read!